Horrific attacks of radical Muslim herdsmen on sleeping Christian farmers in North Central Nigeria are coming with numbing frequency. To the anguish of Christians in Nigeria, mainstream media platforms in the West focus fulsome attention on the New Zealand mosque shooting with no mention of the gruesome murders in Africa’s richest nation. Saturday’s attack (March 16) claiming the lives of nine people, including many children in Nandu Gbok community in Sanga Local Government Area of Kaduna State, was the third in the week. Approximately 120 Christian residents in villages west of the city of Kafanchan in North Central Nigeria were shot and stabbed to death by machete-wielding terrorists March 10-11, according to press reports and telephone interviews with clergy attending panicked survivors. This Day Live, a Nigerian newspaper, reported that herders of the Fulani ethnic group killed 85 in attacks Sunday and Monday in the State of Kaduna in two governing areas. Clergy on the ground near the killings say the death toll now is at least 140. To his credit, broadcaster Rush Limbaugh broke the story among his listeners on Monday, March 18: “The Fulani jihadists, who have become a greater threat to Nigerian Christians than the Islamist terror group Boko Haram,” stormed a bunch of villages last Monday, “destroying 143 homes, killing 52 people, and wounding dozens more.” And nobody’s saying anything about it because it’s 150 Christians that have been slaughtered, so it isn’t news,” Limbaugh said. But the Christian Post and Gateway Pundit were on the story on Saturday. “As media outlets across the world bring you the minute-by-minute updates of the Christchurch mosque shooting in New Zealand, those same outlets have been mostly silent on the recent mass slaughter of Christians in Nigeria by Muslim herdsmen,” sniped the Gateway Pundit March 16. “Those attacks have resulted in 120 dead and 140 homes burned to the ground.” The heart-breaking photos of scores of corpses, some nearly cremated in their burned houses, are cascading into the news feeds of Nigerians in Africa and in the United States who use the WhatsApp messenger service. “In this moment of grief, we must come together to defeat the machinations of those who have no notion of respect for the lives of others.” Such words came as cold comfort to more than 4,000 farming people who fled from the villages and now suspect that their own government’s military may be allied with the Fulani herders seeking to force them off the land. All the victims in the villages of Anguwan Barde, Maro and Dogonoma were Christians, chiefly women and children, according to Rev. Gideon Mutum of Governors Assembly Church in Kafanchan, who spoke by telephone Tuesday. “The attackers were as many as 400 and began killing people at 7:30 a.m. Sunday,” Mutum said. He added that 19 people are recovering from wounds at local hospitals. Pastor Sabo Emmanuel of Harvesters for Christ ministry, said by telephone that the killings were incited by a false claim by Kaduna State government in the days prior to the planned presidential election on Feb. 16. The governor, Nasir El-Rufai, has claimed that 66 Fulani herders had been murdered on Feb. 11 by their enemies. A story carried by Nigeria’s Premium News on Feb. 22 reported the claim of the Fulani cattle breeders’ association that 131 Fulani herders had been murdered, including the name list of the victims. “That is fake news,” said Father Matthew Gajere, a Roman Catholic priest in Kaduna State who is visiting victims recovering in the local hospitals. “The governor has no evidence for his claim. He cannot refer to any burial sites or graves of the so-called victims, whereas all of the graves of Christian victims are well marked, according to Father Gajere. “We believe the governor used that crisis to postpone the elections. The next day the governor was pressed for proof of the killings, but he had none. Instead he said the number of Fulani dead had risen to 131. 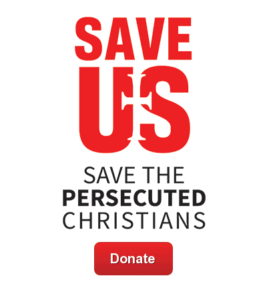 Immediately, we started to have attacks in many villages,” Pastor Emmanuel said. “There was no attack on Fulani herders on Feb.. 11th, nothing like that,” according to Emmanuel. “The survivors told me the herdsmen entered the village of Maro after surrounding it with guards for at least four hours, and during this time there were no police or security personnel seen,” Father Gajere said by telephone. “I called the security multiple times on Monday, but they wouldn’t answer. I called the chairman of the Local Government Area, too, but he wouldn’t take my call,” Father Gajere said. The local governing area has been criminally negligent in its response to the carnage, according to a press release of the Adara Development Association, which represents the Christian majority in Kujuru. “First, Ungwan Barde was attacked on February 10, 2019, and nobody said anything even though those in Government knew. Furthermore, the government pretended that the 11 people killed didn’t matter. Then Karamai, another of our community was attacked on 26 February with 38 people killed. While the victims were buried in a mass grave and the injured yet to recover, Ungwan Barde village was attacked again on Sunday 10th March. 17 people were killed and dozens of Houses burnt, “ according to the statement signed by Barrister Luke Waziri. “The next day, while we were still searching for more dead bodies, Inkirimi and Dogonnoma villages in Maro were attacked. 52 people were killed and dozens injured. The smoke had barely settled when an attack was launched in the evening at Ungwan Gora (Labi Village) with dozens injured and 43 houses burnt down. Thousands of households have been displaced now and are moving from one village to the other in search of safety and refuge,” Waziri wrote Tuesday. “In all these, not a single person has been arrested, not even questioned. This is despite the fact that all the attacks took place either in the morning or in the evening – in full glare of everyone. The terrorist come in their hundreds, take time to kill and then leave without anyone being caught or apprehended by the security,” Waziri continued. Douglas Burton is a former State Department official who served in Iraq and writes on terrorism and national security issues in Africa and the Middle East.